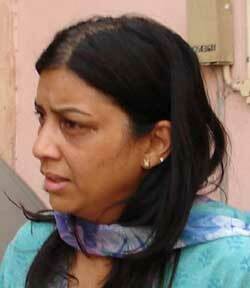 investigation team unable to find out the murderer of aarushi and thought for the closure. it's about 2 and half year that the murderer is dodging the most efficient investigation team of the country. taking a close look to the case according to the reports shown by the tv channels which they got from the high court, shows that if there were only 4 members in the house at the time of murder and out of which 2 are dead, it directly hints for the other two to be the culprit. this also indicates that there is huge possibility that the investigation team would not be able to find the exact evidences, which raises the question for circumstantial evidences. then why did this investigation team was unable to rope the other two members of the house who were present. now according to eye witness like ex dsp and dr rohit kochar it is evident that they had noticed the behavior of rajesh talwar. 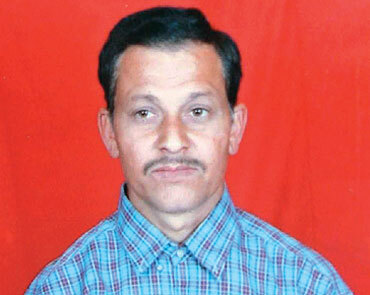 rajesh talwar was hesitating to allow the investigation team to go upstairs. where the police team i;e ex dsp found the dead body of hemraj(the servant). murderer with a golf stick strike head of both hemraj and aarushi and then with a surgical knife cuts the neck/throat and then took the body of hemraj to the upstairs keep the body there and then washed his/her hand in that cooler water and again after doing all these he/she very silently and calmly sat to drink wine. 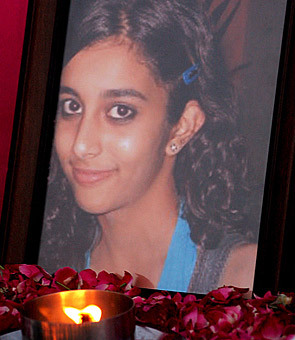 and the parents of aarushi is claiming that they were sleeping all night without knowing anything happening in the home. what a drama? are the people nuts? is it possible that an outsider murderer can murder two persons in a house and wait to taste the wine kept their. and many other evidences like bedsheet wrapped around the body of aarushi and hemraj clearly indicates that it is almost impossible to be an outsiders work. these talwars simply look to hook the cbi. and by very far they also able to dodge them. congrats talwars!!!! 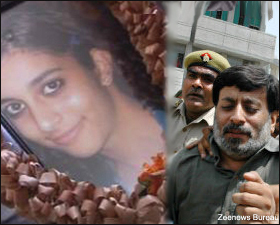 its my personal view that, its none other than talwars who are the murderer of their own lovely daughter aarushi and hemraj.